There's apparently still some money in the kitty for organizations and collaborative groups wanting to access the Collective Initiatives component of the Canada Periodical Fund for 2012-2013. But there's just one month to pull the application togegther. Organizations must send their application by September 30, 2012. A quarterly survey of the top 100 U.S. national consumer magazines reports that use of mobile codes such as QR, was up 107% between the second quarter of this year and the same period last year. According to a story on MobileMarketing Daily, some sort of mobile milestone was reached as every one of the top 100 magazines had at least one code and 90% had more than 10. "The count is likely to go up considerably in the next report, since the all-important September issues of many magazines are going all-in for mobile activation. A number of titles are using image recognition techniques to make almost every ad actionable. GQ plans to mobilize every ad in its September issue, while Seventeen will have over 250 mobile-ready images. "Mobile activation is emerging as a standard operating procedure for some print ads. In just a year, the share of print ads with codes has risen from 5% to 10%. 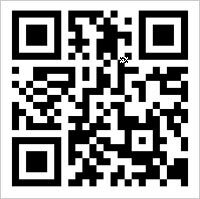 QR codes continue to be the leading form of activation, with over 80% of the instances. But watermarking and image recognition techniques via augmented reality apps have emerged as important areas of growth. 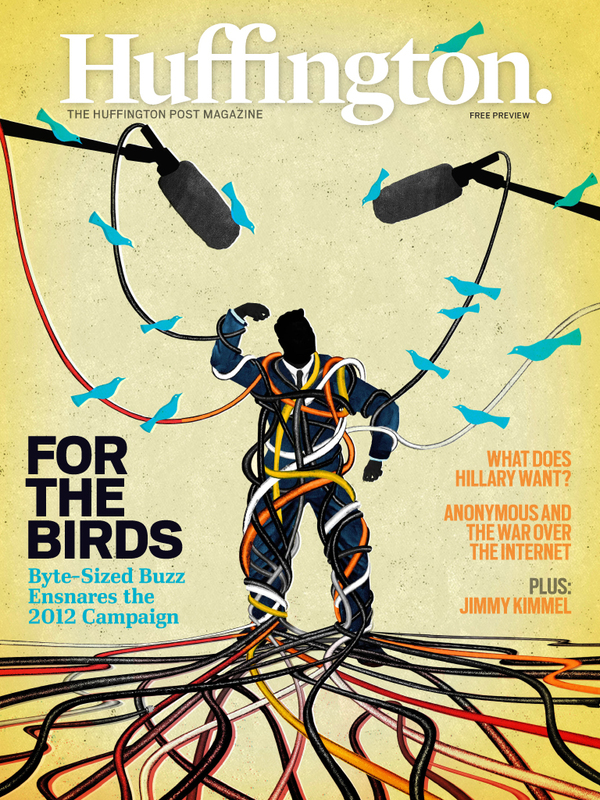 On the editorial side, magazines prefer the less intrusive nature of triggering technologies." Precedent magazine, produced principally for young, Ontario lawyers, is this year spinning off its usual fall student supplement into a magazine of its own. Over 4,500 copies of The Precedent Student Issue will be distributed in law school campuses starting next week. "This year, Precedent is expanding by launching a national student magazine. Rather than publishing our traditional student supplement within the fall issue of Precedent, we decided it was time to give students an entire issue of their own. The new magazine will have a heavy emphasis on career information, while also delivering Precedent’s trademark advice on all things lifestyle: from fashion and food to sports and technology." It will continue to take its travelling party tour to Ontario law schools, and this year is adding more law schools across Canada. Precedent has been in business more than 5 years now, with its irreverent mix of lifestyle, professional coverage and style information that is distinctive from most of the more traditional lawyers' publications. A full page 1x ad in the student issue is $4,635. Social media have enhanced the experience of reading magazines, even among those who do not consider themselves avid magazine readers, according to a study conducted for the MPA, the [U.S.]Association of Magazine Media. The research, reported by Folio:, was conducted by GfK MRI and was done among millenial magazine readers -- agend 18 to 34. What it found was that, while only 40% of the 1,019 respondents self-identified as "avid magazine readers", 95% of those read printed titles and 43% digital editions. “The results of MPA’s new study clearly demonstrate that social media enriches the magazine reading experience, and that magazine media readers—on all platforms—are creating communities around and engaging with the magazines and editors they know and love,” Chris Kevorkian, MPA’s chief marketing and digital officer, says in a news release. About 69% of respondents owned a smartphone, 41% a tablet device and 26% an e-reader. It seems that magazine interaction through social media is a common practice among Millennials. About 56 percent of respondents say they follow a magazine on Twitter, and the same percentage say they follow a magazine on Pinterest, or re-pin content from a magazine. About 52 percent of total respondents have liked a magazine on Facebook, and 51 percent have re-tweeted an article from a magazine’s Twitter feed. A magazine’s editorial staff does also have some influence with Millennials, with 49 percent of all respondents saying they follow a magazine editor or columnist on Twitter. Rogers Communications is hoovering up more bandwidth and more market share with the forthcoming purchase of Score Media Inc., the specialty television network that has been on the block for about a year. According to a story in the Globe and Mail, the deal is worth about $167 million, somewhat less than the owners were hoping for. Rogers will pay $1.62 a share, or $138-million for the television network, also assume about $13-million in debt and invest $12-million in The Score’s standalone digital media business. Score Media would thereby join a television and publishing family that includes not only the Blue Jays, but Sportsnet and its eponymous magazine. And the announced deal come as Rogers closes the deal to become part owner of Maple Leaf Sports and Entertainment, owner of the Leafs and the Raptors. Between it and its partner Bell Media, they would now control the three largest sports broadcasters in the country. The Score goes to 7 million subscribers in mid-tier cable and satellite packages. The company has been striving to make money in the mobile offerings; even though it has more than 3 million unique visitors to its apps on the Blackberry and iPhone the increase in digital revenue hasn't bridged the gap between costs and revenues. Rogers is only buying a 10% share in the mobile apps part of the business, enough to give it access to promote its own properties on handheld devices and smartphones. The Rogers deal for Score Media is part of a breakneck consolidation of sports-related content and programming. Bell is in the midst of trying to buy Astral Media for $3 billion. Rushing the season is now commonplace -- people talking about the "end of summer" about the second week of August in the midst of a heat wave. 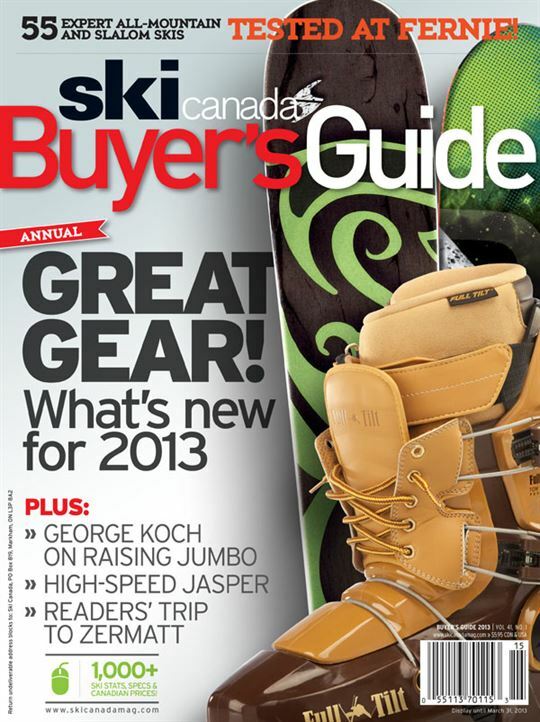 But an annual indicator of inevitable snowy days to come is the release of the annual buyers guide from Ski Canada magazine. Subscribers will be getting it during the coming week and it will be on newwstands starting September 3. It's all about skis, boots, bindings and related gear and has features about Jasper and skiing in Switzerland. Random House of Canada has launched an online magazine called Hazlitt (named after the 19th century author and essyist William Hazlitt). It is said to be a daily examination of culture and current affairs and it will be hosted on the Random House website. The new magazine's editor-in-chief is Chris Frey, who is director of digital publishing for RHC (and was the founder of Outpost and founding director of Toronto online newspaper Toronto Standard). Alexandra Molotkow, formerly a Standard columnist and an associate editor at The Walrus is senior editor. The magazine's content will be provided by a stable of contributors (among them Lynn Crosbie, Kaitlin Fontana, Billie Livingston, Jason McBride, Drew Nelles, and Carl Wilson, as well as filmmaker Scott Cudmore) and freelancers. "Our writers are smart, insightful, occasionally combative, funny, and well read – our cast is wildly diverse. We will feature best-selling, award-winning authors alongside young, emerging writers," says Frey. "The internet offers unprecedented opportunities for everyone to engage with ideas and narratives beyond those in a physical book. While traditionally many book publishers have been primarily using their websites for sales and marketing purposes, we want to also use ours to publish original content. In this age of cultural and technological change, RHC's digital efforts will support the central role of writers in our collective conversations: informing, entertaining and inspiring readers." While Random House says Hazlitt is the "first-ever digital online magazine initiated and curated by a Canadian trade book publisher" there have been recent initiatives in e-book publishing by the Canadian Writers Group, an agency for authors and freelancers. And though it is not have the frequency promised by Hazlitt, there is an excellent literary online magazine called Five Dials published in Britain by the publishing house Hamish Hamilton, edited by a Canadian, Craig Taylor. Totem, the branded content arm of TC Media, which publishes many of Canada's best known consumer magazines, has been named the brand agency of record for the Toronto-based international organization called Right to Play. Right To Play promotes the involvement of all children and youth, often working in the most disadvantaged areas engaging girls, persons with disabilities, children affected by HIV/AIDS, street children, former child combatants and refugees. Totem says in a release that it has "already begun some initial brand work, sharpening Right To Play’s positioning in the marketplace and will continue by developing new engagement initiatives, bringing the organization’s positive work and message to a bigger audience." Right to Play was founded in 2000 by four-time Olympic gold medalist and social entrepreneur Johann Olav Koss. Its sports programs are facilitated by 590 international staff and nearly 12,000 volunteer coaches. The trend towards slimming down cover models in magazines using airbrushing has a counterpoint in what is called "reverse retouching" to enhance and plump up cover subjects' bodies. Matthew Ingram at Gigaom makes the extraordinary case in a post today that fact-checking should be done after the fact so that the reading public can see the mistakes and the subsequent corrections in a magazine story. His case seems to be that fact-checking would have removed or corrected the errors that Harvard historian Niall Ferguson is widely accused of in a recent Newsweek cover story. "If what we are after is more transparency when it comes to journalism, public fact-checking and debate is an integral part of that process...."
"My point is this," says Ingram: "Isn’t it better to have those criticisms and counterarguments out where readers can see them and inform themselves if they wish? And if Ferguson is the type of academic who plays fast and loose with the truth in order to make his argument, as Atlantic writer James Fallows seems to suggest he might be, isn’t it better that we know that by seeing his arguments in as clear a light as possible? If those errors or logical inconsistencies had been fixed by nameless fact-checkers at Newsweek, all we would really know is that the magazine has a good fact-checking department." So let me get this straight. We allow the readers to be fed mistakes we could have caught so that, through comments, debate and coverage elsewhere (which those readers may or may not see) we can feel good about the integrity of the process? In the summer 2012 issue of Edible Toronto magazine, editor Gail Gordon Oliver makes a plea for advertiser support on the eve of the magazine's 5th anniversary, coming up with its fall issue. She raises the question about whether, without increased ad support, the largely free circulation magazine may be difficult to sustain. "I’m sure most of you are aware that, aside from a small base of subscribers, Edible Toronto is distributed free of charge throughout southern and southwestern Ontario. As a privately owned, freely distributed publication, we are not entitled to receive any of the government grants and subsidies that are readily available to many other publications, and so our existence is totally dependent upon revenue from our advertisers and subscribers. We cannot thank these supporters enough for helping us to publish each issue. But our costs are high and, to be blunt, although everyone raves about the magazine and wants their free (to them) copies, it’s not been easy getting businesses and organizations to commit to supporting us financially with their advertising dollars. "We’ll be celebrating our fifth anniversary with our fall issue. I’d like to be writing this column in five years as we hopefully head towards our tenth. Please consider supporting Edible Toronto with more than just kind words of praise and awards (not that they aren’t greatly appreciated). We need your support to sustain us and to allow us to flourish." Rotman magazine, the publication of the Rotman School of Management at the University of Toronto, is putting on a big newsstand push. It has retained the design firm K9 Design Co. and circulation expert Scott Bullock of coversell.com to help it put out a more commercial cover, one that will compete with its perceived peers such as the Harvard Business Review, strategy+ business and Fast Company. Until now, Rotman has had a rather dour, academic look. The first cover (shown) will launch in the fall using the current newsstand distribution in university and specialty bookstores; the new look will roll out to airport and Chapters/Indigo stores coast to coast starting with the winter edition of the quarterly. Circ will include 7,000 distributed on selected U.S. newsstands. “As we begin to expand our reach on global newsstands, we needed a more commercial version of our cover for this version of Rotman magazine. K9 has created a bold cover that will enable us to stand proud on newsstands beside our aspirational peers...,” said Karen Christensen, exec. director, strategic communication and editor-in-chief, Rotman Magazine. As many publishers shift resources to tablet editions (I’m still waiting to see a sustainable advertising model for this format) and developing Twitter teams to push traffic to their core brand (a tremendous waste of money at the expense of real journalism and a terrific way to actually divert people from your core product), the real issue facing publishers is “differentiation”. -- Monocle publisher Tyler Brûlé writing in the Financial Times about what he says is a core issue for magazines -- their sameness. Masthead magazine has once again published its very valuable tally of the top 50 magazines in Canada by revenue. The top 6 hold the same positions they had in last year's tally but notably, they all slid in revenue. The figures are calculated based largely on page data provided by Nielsen Leading National Advertisers and circulation data from the Audit Bureau of Circulations or the CCAB division of BPA Worldwide. The revenue figures are weighted to try to account for discounts. While revenue from inserts is included, revenue from special interest publications, government grants and ancillary marketing are not included. The complete Top 50 list can be downloaded in pdf form. Canadian Literature, the quarterly journal published at the University of British Columbia, is making 40 more back issues openly available as pdf files. This adds to a much larger open access archive (http://canlit.ca)-- almost 50 years of content, going back to #1, the summer 1959 debut issue -- and the journal is going to add another year's worth to the archive each year. "The open access PDF archive is made possible through funding from the University of British Columbia’s Teaching and Learning Enhancement Fund." says the journal in a release. "Another of Canadian Literature’s educational open access projects, CanLit Guides (http://canlitguides.ca), takes advantage of this comprehensive online back issue archive. Currently in development, CanLit Guides is a modular online learning resource that introduces students to reading and writing at a university level." The publication also maintains a website CanLit Poets which is an online poetry collection aimed at high school students. 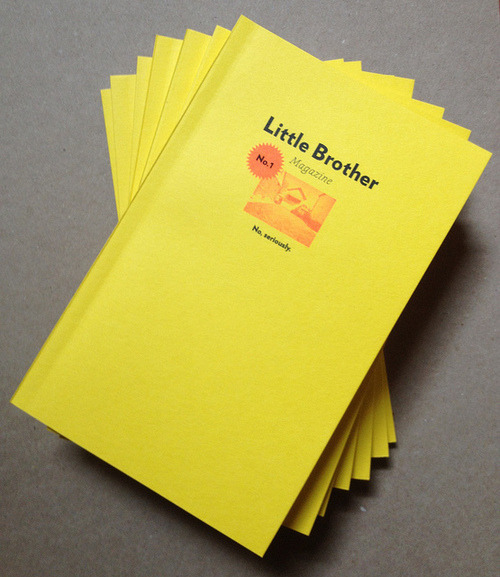 Canadian Literature can be purchased for $19.95 an issue or $56 for a 4-issue subscription. LawNow Magazine, a digital publication of the Centre for Public Education Alberta has decided after 37 years of publication to go from being subscription-based to being free, as of September. Subscriptions had been $29.95 a year for 6 issues. The publication is also launching a new website in the fall. "We believe this change will allow greater access to LawNow’s valuable content and will help us reach new audiences," said the publication in a release. A Toronto company has released Digitality Works, a web-based digital publishing platform and online newsstand. The company's release say that it eliminates the need to download apps or browser plug-ins. Readers are connected to the digital editor of their choice on any web-enabled device. “We are proud and excited to release to the market a totally unique product offering,” says James Zammit, Co-CEO for Digitality Works. “Our new technology boasts a dynamic, single platform that supports all devices including iPad/iPhone, Android, BlackBerry, PC and Mac,” says Zammit. So far, the company's website features association titles Engineering Dimensions (published bimonthly by Professional Engineers Ontario (PEO) and distributed to all PEO-licensed professional engineers, Innovation, similarly distributed on a controlled basis to 26,000 members of the Association of Professional Engineers and Geoscientists of British Columbia (APEGBC) and The Sounding Board, the official publication of The Architectural Woodwork Manufacturers Association of Canada (AWMAC). The Historica-Dominion Institute was created by a merger of Historica and the Dominion Institute in 2009, is Canada's most authoritative voice on the country's history and citizenship. Its activities include public opinion polls, short films and multimedia presentations, sponsorship of events related to its mandate, and its flagship programs Encounters with Canada - the country's largest youth forum - and The Canadian Encyclopedia. The Institute is also responsible for The Memory Project, which is the country's largest oral history of the Second World War and has recently been expanded to include memories of the Korean War. The Association of Magazine Media (which, paradoxically, retains its MPA "magazine" acronym) has named Mary G. Berner to take over as president and CEO, replacing Nina Link. 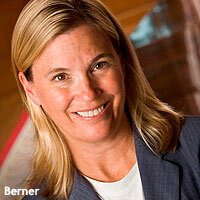 Berner left Reader's Digest Association in 2011, where she was president and CEO and oversaw bankruptcy and major staff cuts. She had previously been CEO of Fairchild Publishing and the publisher of Glamour and TV Guide. It may be just a fleeting business story or it may be a significant bellwether of where things are going in the relationship between media companies and advertisers -- and, not least, readers. Condé Nast, which publishes many of the best-recognized consumer magazines in the world, has bought into a company that provides so-called cloud-based advertising technology which allows marketers to change their ads on the fly, according to a story in the New York Times. It has bought an 11% share in Flite, a digital advertising company whose system allows advertisers to change their ads as they see which images or messages are most popular with users (what we used to call readers) so they can change things up, emphasizing elements that get the most clicks or comments. Josh Stinchcomb, vice president for corporate partnerships at Condé Nast, said Flite’s technology allowed the company to provide more creative and customized options for advertisers online. Keeler funded the first issue herself, and is optimistic that by keeping costs down, she can make enough money from subscriptions, and select newsstand and online sales to keep rolling her investment back into the magazine, which retails for $12. “We haven’t even launched yet, and so far we’ve almost broken even on pre-orders and subscriptions alone,” she says. One unusual aspect of the magazine is that it is produced, by "risograph" technology (which, frankly, we'd never heard of), essentially high speed photocopying. It also has a Tumblr site. "The Internet was founded by a bunch of hippie libertarian nerds, and so we’re stuck with their standards, which are sometimes revolutionary and good, and sometimes encourage a problematic lack of interest in journalistic ethics. Web media often eschews accuracy, wallows in blatant conflicts of interest, and fails to follow basic journalistic procedures. And that’s all OK, mostly. The way journalists demonstrate credibility on the Web isn’t better than how they do in legacy media. It’s just almost entirely different." -- Michael Barthel, on Salon, commenting on journalistic standards online and off that have been spotlighted by the Fareed Zakaria plagiarism schmozzle. For Ontario publishers, the deadline looms for the Ontario Media Development Corporation's Magazine Fund. Applications for 2012-13 are due Wednesday, September 12 for the fund, which offers up to $75,000 to Canadian-owned and -controlled, Ontario-based magazine companies with the aim of assisting strategic business and marketing initiatives. For 2012, the fund is offering support for a limited number of digital-only magazines and increased emphasis has been placed on seeing greater innovation from all applicants, whether in print or digital. All applications are done via an online portal and corporate registration must be made before commencing an application. Applicants may apply for up to two projects, though each must have separate application forms. Will Desperate Dan ride into the sunset at British comic The Dandy? [This post has been updated] It's ironic that just as the British comic The Dandy is celebrating 75 years of publication and London's Cartoon Museum is holding an exhibition about this, the longest-running comic, in October, its owners DC Thomson seem to be reluctantly concluding that it has had its day. Desperate Dan and Korky the Cat may have to find a new home, convert to digital or retire. The Dandy sold more than 2 million copies a week in the 1950s and is reduced to below 8.000 now, according to a Reuters story. Stiff competition for children's attention from TV and video games seems to have done it in. "The Dandy wasn't as able to develop existing characters into characters kids could identify with," said Anita O'Brien, curator of London's Cartoon Museum. "But most of all, comics had a challenge competing with television and computer games for kids' attention," she said. According to latest circulation figures, since The Dandy was revamped last October, it has lost 48% of its circulation, reports comics blog Blimey!Apparently readers weren't enamoured of new characters the comic introduced. Musicworks magazine, well-known for being a magazine plus a recording, is having a "year end clearance sale" and one of its offerings seems to be a huge bargain -- the entire collection of dedicated recordings, 90 in all, mostly on CD, some on cassette -- for $150 plus shipping. That amounts to C$175 or about $1.67 per recording. Folio:, the valuable U.S. website for magazine professionals, is immediately launching a fairly tough paywall. Editor Bill Mickey outlined how the paid access model will work in a note to hitherto unpaid online subscribers. Here's the way it will work: Each month, you'll get to read eight stories on a complementary basis. You'll be reminded as you get closer to the eighth report. After that, you'll be given the option of buying an annual subscription to Foliomag.com for $69.95. Alternatively, you can gain full access to the site on a monthly basis for $14.95. As a leader of the digital-content marketplace, we need to adapt to the changing times. Our new format allows you, our most loyal customers, to choose the level of information you need. [This post has been update]For those who remember the noble experiment of Canadian Geographic magazine printing a 2008 issue on paper made in part with recycled wheat straw, it will be heartening to know that there has been progress on the recycling front. Such paper is now available to consumers as copy paper. It was announced today that the paper -- which uses 80% less forest fibre than traditional paper -- is now available through Staples stores across Canada. The product, branded Step Forward Paper, is manufactured by Winnipeg-based Prairie Pulp and Paper Inc. The provision of the straw-based paper [update: manufactured in India] is the company's first step; the second will be constructing a 100% tree-free eco-mill to manufacture it on the Canadian praires. The release of the new paper is a joint venture of Priairie Pulp and Paper Inc, the distributor Unisource Canada, the exclusive retailer Staples and Canopy, the environmental campaigner dedicated to preserving the world's forests. Canopy is helping publication printers test straw-based papers. Those that currently stock these papers are listed here. Just catching up with Miranda Hill's excellent article in Quill & Quire magazine about Kim Jernigan, the retiring editor of The New Quarterly. It's a concise and loving summary of why Jernigan's contribution over 30 years has been so important to writers and to the ecosystem of small, literary magazines in Canada. Hill applauds Jernigan's "quiet building one of the best literary magazines in the country" and pointedly notes that, for all but a few months of the past 30 years, this has been done without compensation. From the days of collating a mimeographed shadow of its present colourful and splendid self on her hands and knees, Kim (disclosure: we've been friends for many years) has shown both an amazing energy and a fierce affection for the writing process. 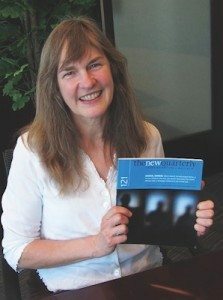 She has always given credit where it was due, to the writers, and the magazine has prided itself on often publishing many well-known names for the first time. “We want to build a relationship with writers. We want to help people to publish,” she says, simply. Kim's determination to nurture writers has extended to reading and commenting on what they submit, something that is relatively rare. She sometimes has given guidance even if they are not published (one interesting fact that emerges is that only about 6% of 350 unsolicited stories received each year make it into the magazine.) She is renowned for her thoughtful notes to writers, fan letters often out of the blue. "Last spring, my story Rise: A Requiem (with Parts for Voice and Wing) was accepted for publication," [says Hill]. "Since then, like countless other writers in what Jernigan calls 'the TNQ family,' I have been the grateful recipient of a generous mix of editorial attention, invitations to speaking events, personal cheering, and homemade food that might be called the Jernigan Effect." The people who publish the kids' magazine Highlights has come out with a printed magazine for toddlers aged 0 - 2 that has 16 pages of storybook content, rounded corners and...is washable. Not probably machine-washable, but Highlights Hello is a (non-toxic) ink-on-paper publication that can stand being wiped off. It's a wholly circulation-driven publication, according to a posting by "Mr. Magazine" Samir Husni. It has also survived being put in a washing machine, according to editor Chris Cully, though it's not recommended. “The research is clear about the benefits of reading aloud to babies and toddlers. The cuddling, talking, laughing, and singing are all part of the experience. A magazine like Hello makes it easier for parents to create these experiences often. "Also Hello is lightweight and portable. It fits easily into mom’s purse or diaper bag. It fits toddler hands perfectly. It can be wiped clean–and it can withstand a little chewing. It is hard to imagine a digital product that could be so perfectly tailored to the needs of this audience. Highlights is a Pennsylvania-based publisher of magazines for children, established 66 years ago and it publishes a family of titles including Hello, High Five for ages 2-6 and Highlights itself for those older than 6. Eric Schneider, who brought Redwood Custom Communications under the TC Media umbrella in 2008, is leaving the organization as of September 14. Schneider was Senior Vice President, Marketing Solutions & Customer Engagement. It was after being bought by TC Media that Redwood was rebranded as Totem Brand Stories, which it is now. Redwood, later Totem, has been Canada's largest custom publishing and branded content companies since it was founded in 1998; Transcontinental Media (now TC Media) acquired it in a bid to expand its marketing communications offerings. After not quite two years as editor of Marketing magazine in Toronto, Tom Gierasimczuk is heading back west to become the editor-in-chief and director of audience development of BCBusiness magazine, the monthly published by Canada Wide Media Limited. He was chosen in 2010 as editor of the year by the Alberta Magazine Publishes Association (AMPA) as founding editor of up!, the Calgary-based Westjet inflight magazine and shortly thereafter moved to Rogers to edit Marketing. Prior to up!, Gierasimczuk he been editor of Calgary Inc. (no longer published) and had co-founded CityBites, a Toronto food magazine. He also worked at Redwood Custom Communications (now Totem). Quebecor Inc.'s publishing division TVA Group Inc. saw publishing revenues in Q2 fall to $2.6-million from a $3.1-million the year before, on lower newsstand sales and advertising revenues. Operating income for the publishing side was down $450,000. TVA Group had posted a Q1 net loss of $39.3 million because of an impairment charge related to greatly increased Quebec government fees for waste recovery services. President and CEO Pierre Dion Dion said the print divison continues to look for ways to reduce costs and find new business. “The growth of the TVA Studio division, which specializes in customized publishing, commercial printed productions and premedia services, augurs well for the expansion of this line of business in the coming quarters,” he said. "You know nothing good is happening when you're called into the editor's office at 8.30am and the head of HR is sitting there with a giant stack of paperwork!" Some enterprising publishers in Mumbai, India have created a monthly magazine called Meter Down that is aimed at affluent young professionals who can afford to travel by motorized rickshaws in the crowded streets in the city of 14 million people. According to a story in The Guardian, the magazine was started by three recent graduates in February 2010 and is now carrried by 7,000 rickshaws in Mumbai and other western India cities such as Pune and Ahmedabad. Drivers are lured into the scheme with a share of 35-40% of the profit from advertising sales. That works out at around 200-250 rupees (£2.30-£2.87) each, according to Mulchand Dedhia, 26, one of the founding trio. Mumbai auto drivers make 400-500 rupees working a normal shift, according to the Mumbai Autorickshawmen's Union. Designing a publication to be read while travelling on Mumbai's famously pot-holed and chaotic streets had its own challenges, said Dedhia. After an initial trial his team decided to keep articles short and snappy, with no article longer than 300 words. There are lots of pictures too. To stop passengers taking the magazine with them, it is tied to a shelf in the vehicle. One of the partners, Mulchand Dedhia, says that each three-wheeled rickshaw makes 90-95 trips in a 24-hour period which would represent a readership of 600,000. In addition to on-page advertising, the company sells ads on the back and the inside of the rickshaws, which are nicknamed tuk-tuks for the noise they make (they are powered by compressed natural gas engines). Rickshaws are cheap by comparison to western taxis -- a three-mile ride costs 68 rupees (about 10 times the equivalent second class train ticket) -- but too expensive for most Indians to use regularly. The Canadian Kennel Club has received several proposals to partner on a revived Dogs in Canada magazine and its associated Annual. But for now, it is apparently dealing with outsiders who are intent on poaching their lucrative breeder listings and it has posted a note on its website that approaches to breeders for 2013 listings are confusing the market and is "not us and it's not the new Dogs in Canada Annual". "So, to end the confusion and to be perfectly clear, it is the intention of the CKC to produce a new Dogs in Canada magazine and Dogs in Canada Annual! We are currently reviewing and encouraged by proposals received from big-name players in the Canadian publishing industry, as well as highly-targeted “boutique” companies noted for their expertise with specialty and well-known niche publications. Once our partner has been chosen, we will communicate our advertising information to all interested parties for the 2013 publications." 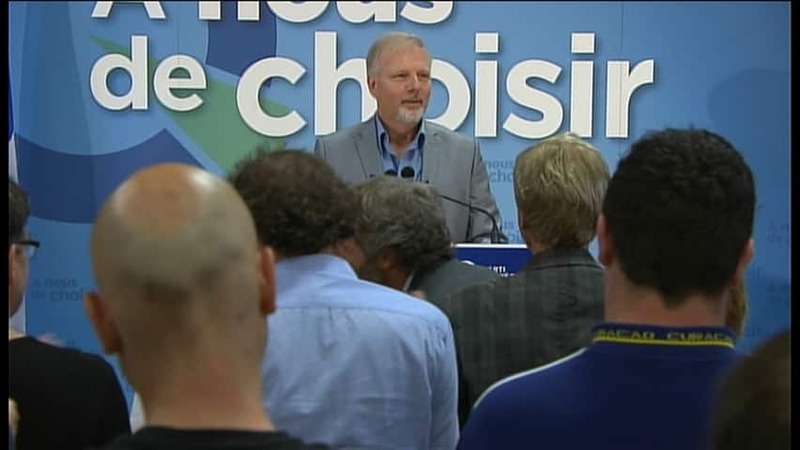 Jean-François Lisée, a longtime contributor to the Quebec news magazine l'Actualité and an advisor to the Parti Québécois, including former premiers Lucien Bouchard and Jacques Parizeau, is himself running for office in the Sept. 4 provincial election. He will run in Rosemont, a Montreal riding formerly held by ex PQ cabinet minister Louise Beaudoin. According to a story on CBC.ca, Lisée said that, after much consideration, he felt that it was important to get involved in defeating the Liberals, who he called "the party of cynicism". "If I can contribute to the main collective task ahead of us, that is, getting rid of [Liberal Leader] Jean Charest, then I will do it." he said in his French announcement. Lisée was responsible for a long cover story in the magazine earlier this year in which he proclaimed that Montreal Anglophones don't bother to speak French. (The cover image showed a frog with a picket sign saying 'Içi, on parle English'. New digital reporting requirements and a new, more detailed publisher's statement have been deferred to an unspecified data by the board of the Audit Bureau of Circulations, one of the principal third-party circulation auditing firms. According to a story in MediaDailyNews, the plans to include more digital measurements and to require larger magazines to report issue-by-issue data have been put off pending further input from publishers, advertisers and ad agencies. The plan to introduce a new publisher’s statement with enhanced digital reporting was first revealed back in March. At the time, ABC said the new report format would require publishers to report several key metrics for digital magazine consumption, via tablet apps and Web browsers, including the number of unique browsers or devices, total visits and average visit duration. You've got until August 10 to vote for your favourite Manitoba magazine as part of the Manitoba Magazine Publishers Association (MMPA)'s "Maggie Awards". This year for the first time, in addition to the juried selections, there is a people's choice award. You need simply log on and pick one title.The awards themselves are September 13. Previously for sale at $0.99 a copy or $1.99 a week, Huffington, the iPad magazine from Huffington Post is now being given away free on the Apple Newsstand. According to a story on Mashable, the magazine's app in its paid form had been downloaded 115,000 times. Huffington is intended to be a sort of "slow journalism" equivalent to the hyperactivity of the online site, giving readers the opportunity to read at their leisure. Susan Antonacci, the editor-in-chief of Canadian Living has been appointed executive director, brand development (a newly created position) and will be taking on responsibilities for Elle Canada and Style at Home. A release from TC Media says that the company is now searching for a new editor-in-chief and Antonacci will remain in that role until her successor is found. Men's fashion blogger named Sharp magazine's "sharpest man"
A while back we posted an item about the forthcoming promotional campaign by Sharp magazine which was setting out to find Canada's Sharpest Man. 'we thought you'd like to know how it turned out. From 15 finalists -- nominated by the public -- Jonathan Cavaliere of Toronto has been selected. "All about mixing traditional with modern. A lot of the pieces I own I could see my grandfather wearing, but I always ensure that they have a modern and tailored fit. I am also a big fan of prints and small details, like a pocket square to complete my look." Entrants submitted their photos at kiosks in Hudson's Bay stores or online at SharpForMen.com. 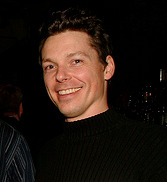 At the end of the 30-day voting period, the top three were selected from Vancouver, Calgary, Toronto and Montreal – plus the top three online entries were judged by Jeremy Freed, Sharp Editor-in-Chief, Suzanne Timmins, Vice President, Fashion Director, The Hudson's Bay Company and Shawn Hewson, Bustle creative director. Cavaliere will be showcased in a four-page feature in the September Style issue of Sharp and will receive a $5000 West End Shop designer shopping spree from The Bay. Cavaliere is the creator and founder of Mr. Cavaliere – Men's Fashion and Style Blog and has future plans to be a menswear designer. A good natured example of the vagaries of publishing a cultural magazine in this country? Brick, the respected and award-winning literary magazine, is using crowdsourcing to get the money to replace its computer and some other office equipment. It's using the site Indiegogo to manage a campaign for $1,500 to purchase an up-to-date iMac on which to produce the magazine and to replace the managing editor's "hilarious, rickety chair" and get a new phone. While the magazine says it prides itself on being up-to-date and deeply engaged, its wheezing computer and office furniture is not. "[While] our content is on the cutting edge, the equipment we work on struggles to keep up with the times. As you'll see from our picture, our managing editor currently works on an iMac G4—the model that was discontinued in 2004! Our office chairs are more than a little worse for wear, and our phone, well, we'll post a picture so you can see for yourself. "Here are some phrases you may hear as Nadia waits for a file to download onto her computer:"It's fine, really. It teaches me to practice patience." or "I'll just go water the plants..."
As with most such donation drives, the more you give the more swag you get, from a published thank you for $10, some Brick postcards for donations up to $50 to a subscription and a signed book from one of the editors for giving more than $150. So far the campaign, which in intended to run for 3 4 months, has raised $250, or about one-sixth of its goal.